Come celebrate the holidays and a terrific year for the CEO Trust at the Prudential Center arena. 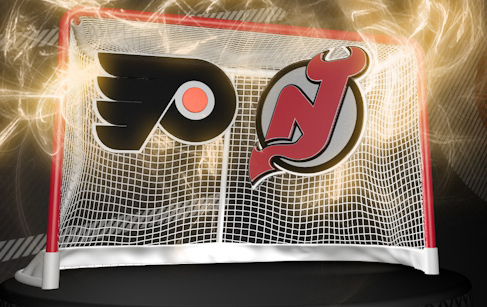 Join fellow CEOs and spouses/SOs for an exciting "Battle of the Jersey Turnpike" matchup as the New Jersey Devils take on their rivals the Philadelphia Flyers. Mingle with CEO colleagues & spouses over drinks and heavy hors d'oeuvres in Prudential Center’s exclusive Infiniti Luxury Suites, then enjoy all the action as one of the biggest rivalries in the NHL heats up on the ice below… puck drops at 7:00! We will be joined by special guests Scott O’Neil, CEO of the Philadelphia 76ers, the New Jersey Devils, and the Prudential Center, plus Hugh Weber, President of the New Jersey Devils and the Prudential Center. They will share their experiences running a sports/entertainment brand and business. Enjoy the camaraderie of fellow CEOs while treating yourself and your spouse/SO to an exciting evening of NHL hockey at its best. This promises to be an action-packed night you won't soon forget! NOTE: THERE IS A NON-REFUNDABLE FEE FOR THIS EVENT. SPACES ARE LIMITED. IF EVENT IS FULL AT TIME OF REGISTRATION, CONTACT CATHY CURLEY TO BE PLACED ON WAITING LIST. If you wish to bring your spouse/SO, please add them as your guest when you register online. 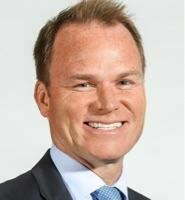 SCOTT M. O'NEIL - As Chief Executive Officer of the Philadelphia 76ers, the New Jersey Devils, and the Prudential Center, Scott O’Neill oversees the business operations of three of the top brands in sports and entertainment. He had a measurable impact on the culture of all three businesses when he assumed the CEO position in 2013. In 2014, Prudential Center had its most successful season in its seven-year history, and The Devils and Sixers are among the leaders in key metrics in their respective leagues, including new season ticket holder growth and season ticket renewal rate. From 2008 to 2012, Scott was the President of Madison Square Garden ("MSG") Sports, where he oversaw the business operations of MSG’s three professional sports teams - the New York Knicks, New York Rangers, and New York Liberty – and drove an unprecedented level of marketing partnerships with industry leading brands. From 2005 to 2008, Scott was the Senior Vice President of Team Marketing & Business Operations for the National Basketball Association. He has been a Director at The Hain Celestial Group, Inc. since 2012, serves as a Member of Board of Advisors at RaptorAccelerator, LLC, and has been a Board Member at ScoreBig, Inc. since 2013. 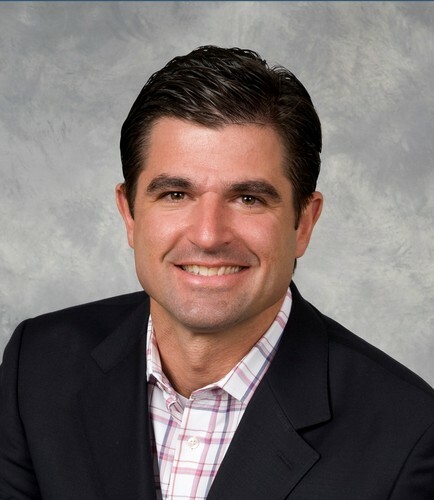 He was named to Street and Smith’s Sports Business Journal Forty Under 40 Hall of Fame, and was named one of the nation’s top marketing executives under 40 by Advertising Age (2006). A sought-after speaker, Scott has delivered keynote addresses at the largest sports industry conferences in the world and has made numerous appearances on CNBC and Bloomberg television. Scott is a board member of the regional chapters of The Leukemia & Lymphoma Society and Big Brothers Big Sister of America. He serves as an Alternate Governor for the NBA and the NHL, and is actively involved in the Sixers and Devils’ foundations, which are dedicated to improving the lives of youth in the Philadelphia/NJ area. Scott holds a degree in Marketing from Villanova University and an M.B.A. from the Harvard Business School. HUGH WEBER - Hugh Weber is President of the New Jersey Devils hockey team and the team’s home arena, the Prudential Center. One of the sports industry’s most innovative executives, Hugh had an invigorating impact on the overall culture of the organization after taking over as president in 2013. He led an aggressive evolution of the company’s business strategy and day-to-day operations, initiating a fan-first approach focused on personal engagement while creating new, ground-breaking revenue streams. Under his leadership, Prudential Center developed the first farm-to-fan arena concessions experience; introduced the first permanent 3D projection system for a U.S. hockey team and arena; partnered with Ritz-Carlton for staff training in customer service; and developed the first Flex Membership program in the NHL. As a result, Prudential Center and the Devils were named NJBiz’s 2014 Business of the Year. Hugh initiated an internal service program that gives employees 82 hours of company time each year to be agents of change in the community via an array of volunteer efforts. He also oversaw the creation of Prudential Center’s first brand campaign, “Our House Rules,” which has gained national media attention, including features in the NY Times & Billboard Magazine, and won the Event & Arena Marketing Conference’s 2015 Campaign of the Year. Prior to his current role, Hugh was president of the NBA’s New Orleans Hornets. During his tenure there, the team achieved record-setting ticket sales and sponsorship figures during a time of unprecedented instability created by Hurricane Katrina. His efforts directly impacted the team’s financial success and helped secure stable, local ownership and a long-term lease with the state. Hugh is a board member of a variety of community, economic development, and entrepreneurship organizations, reflecting his priority in investing in the people, businesses and leaders around him.